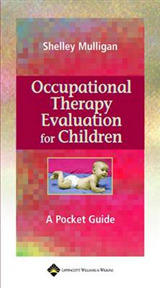 Wolters Kluwer, publisher of the cornerstone Occupational Therapy text Willard & Spackman's Occupational Therapy, is pleased to announce an exciting new first edition that will start a tradition of publishing excellence in the Occupational Therapy Assistant program . 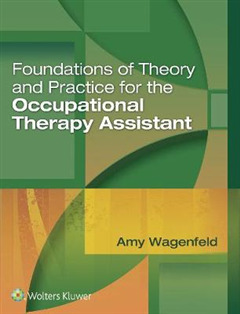 Aligned with the most recent standards in the field,Foundations of Theory and Practice for the Occupational Therapy Assistantprovides the evidence-based, practice-focused information students need to succeed from classroom to clinic. 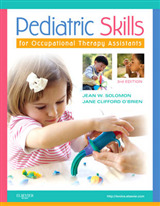 Throughout this comprehensive book, learning activities and clinical scenarios bring concepts to life and enhance student retention. 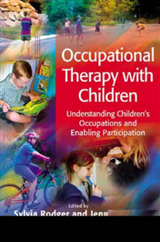 In addition to covering, theory, principles, therapeutic processes, conditions, and more, this accessible text contains elements that span the curriculum, providing beginning occupational therapy assistant students with a solid resource for fieldwork and practice. 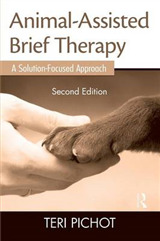 Contributions from experienced practitioners working in a broad range of settings ground the theoretical concepts in the real-world, and invite the students to understand their role in the clinical setting. 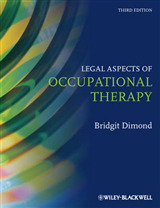 Thirteen case studies, referred to throughout the text with an icon, help students understand the relevance of the occupational therapy assistant's role in the clinical setting. In addition, the book includes a sample complete case summation, along with additional online forms students can use in their own work.